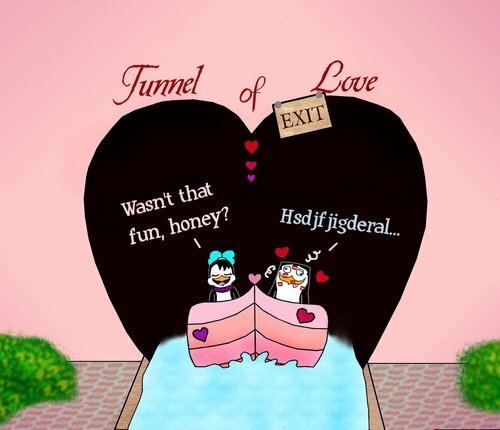 Tunnel of Liebe. Yeah I made the request finally. I'm not too happy right now, so this is all the decription I'm giving. >_<. HD Wallpaper and background images in the Die Pinguine aus Madagascar club tagged: penguins of madagascar penguin skipper lilly tunnel love. This Die Pinguine aus Madagascar fan art might contain kappe, casquet, casquetel, and casquettel. XD haha! Cool pic, Bluey! i agree with you, it looks fun for lilly and Skipper deff. XD hahahaha! LOL XD that does looks fun! Hahahahaha!!!! Look at Skipper's face!!! Haha!! !